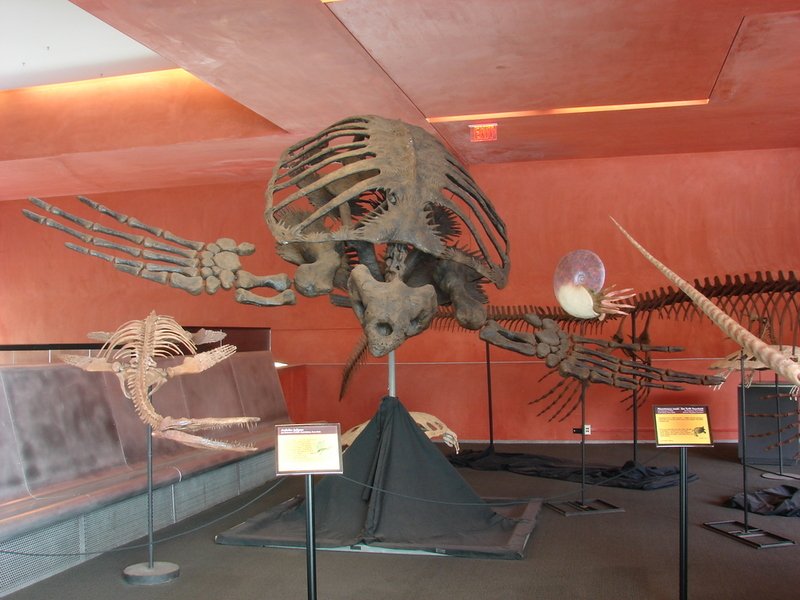 Archelon is the largest turtle ever to have been found on our planet. It likely weighed 4,850 pounds and streached a massive 13 feet between the tips of it's flippers. 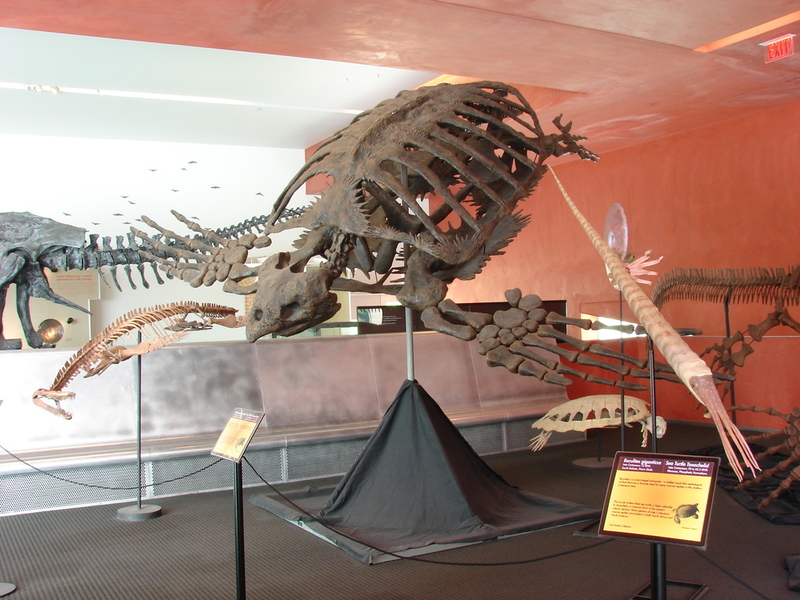 The name comes from the greek, meaning "ruler of turtles". Researchers have suggested that this animal, discovered in South Dakota in the 1970's could have been 100 years old when it died while bruiting on the sea floor. In life, this majestic creature used it's strong jaws for feeding on the abundant mollusks floating in the water column of the interior seaway. Our specimen Is mounted in a lively diving posting. It comes with floor mounting assembly or can be suspended as a hanging mount.